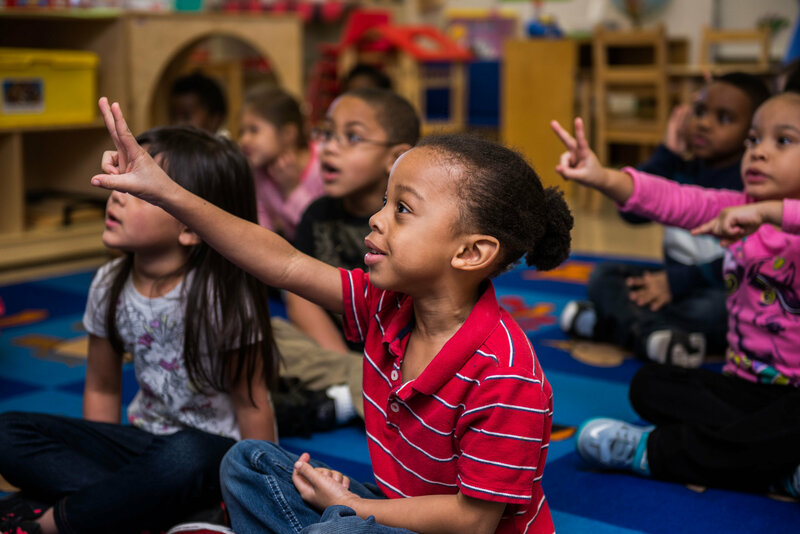 The Early Childhood Kindergarten Readiness Program is designed to have a significant impact on the phonological awareness and reading readiness of participating preschool students transitioning into Kindergarten. This program enhances the educator’s knowledge base on arts-integration techniques, while using natural connections between the arts and Preschool/ Kindergarten core curriculum preparedness. Meeting these goals assists in improving the quality ratings of the participating preschool centers, and educates parents on the early childhood concepts and issues they may face in the first year of school. Teachers and Teacher Assistants receive 1.5 hours of innovative, professional development, which provide educators and administrators a variety of effective, arts-integrated teaching tools that can be used to implement fresh, arts-based techniques meant to encourage student participation and stimulate creativity. Participating sites receive 1.5 hours of professional development for 24 teachers, including written materials and resources. Each site receives a live, interactive performance, and a 5-day residency per classroom. PERFORMANCE: Interactive arts-in-education performances are led by a YAV artist, and the students learn key building block concepts through the arts with specific outcomes. EVALUATIONS: Pre and Post assessments are given to the students to determine current levels of understanding and knowledge. Embedded assessments track individual learning. Parent engagement workshops provide tools for parents to reinforce learning beyond the classroom. Family Arts “Pre-school to Kindergarten” open houses are held at a local elementary school where children and parents can learn what to expect in kindergarten and tour a classroom. The evening includes an arts exploration table for children and parents, a kindergarten educator-led parent workshop on what to expect in the first year, a student performance by a YAV artist and a final parent/child arts activity to bring the evening to a close. The research and implementation of this program was made possible by a grant from the Community Leadership Partners of the Hampton Roads Community Foundation.